Playskool Mr. Potato Head Super Spud Just $16.14! You are here: Home / Great Deals / Christmas Deals / Playskool Mr. 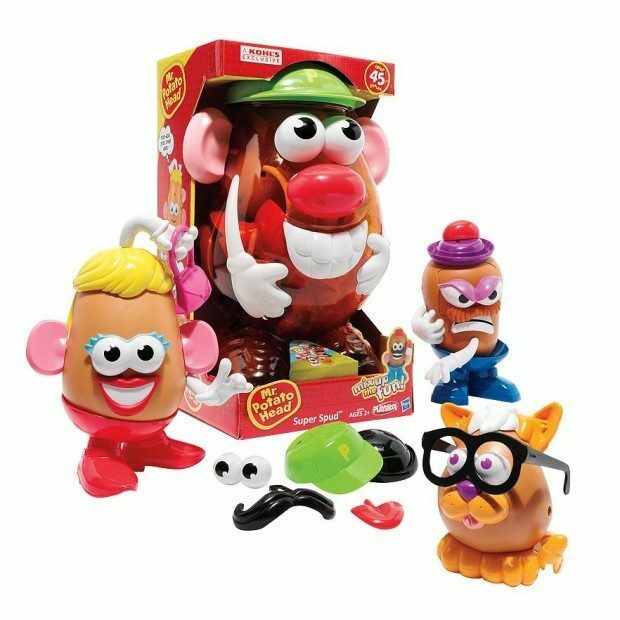 Potato Head Super Spud Just $16.14! Going Fast! Head over to Kohl’s.com to get the Exclusive Playskool Mr. Potato Head Super Spud for Just $16.14! Available for store pickup! Originally $50 and on sale for $18.99 you can score this great, classic toy for only $16.14 when you use promo code TURKEYTIME at checkout! Including both Mr. and Mrs. Potato Head bodies, two pet potatoes and over 45 accessory pieces, this Playskool Super Spud set offers endless mix-and-match options!